One of the great things about writing for FOSSwire is that you have a great excuse to try out all of the latest free and open source software games (and end up spending a couple of hours 'researching' each one). 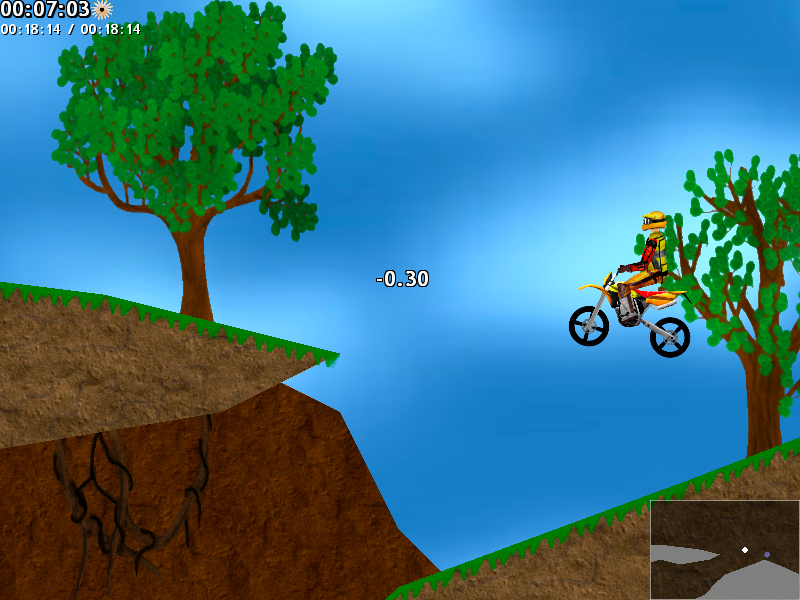 Basically, you have to drive your motocross bike across a landscape, completing jumps and trying not to fall off. The aim of the game is to pick up all the strawberries on the level, then to reach the flower to finish the level. I'm not particularly good at it (I can only barely get past the first level), but it is great fun. Warning - if you need to be productive this weekend, don't download this game. It's cross-platform and binaries are available for Windows, various Linux distributions and Mac OS X. You can obviously also get the source code. I recommend that Linux users head to their software management program and do a search in that for xmoto, as that's probably the easiest way to download it and automatically get it installed and set up. Windows and Mac users, download an appropriate package from the site.